Traveling to San Francisco? 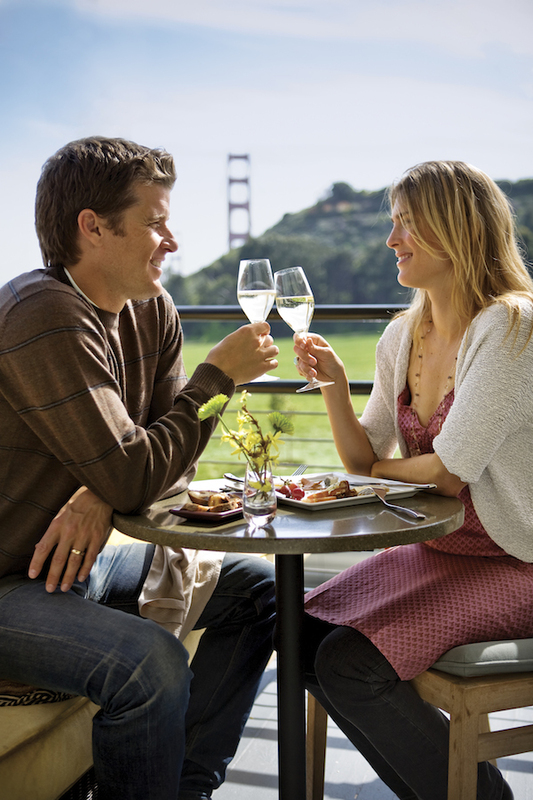 The Bay Area features a wide range of restaurant dining options, some with spectacular bay views — all depending upon your vantage point. 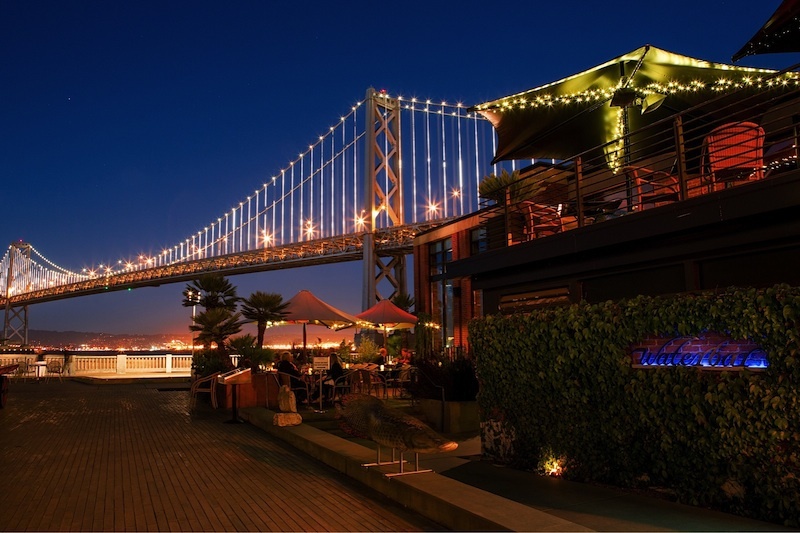 You can dine with views of the Golden Gate Bridge, just underneath the glittering lights of the Bay Bridge, see the famous skyline from the East Bay, or take in the nitty gritty working waterfront. You can sip on drinks from high atop Nob Hill, slurp oysters at a high-end seafood restaurant, or nibble on Chinese spareribs at a tropical getaway. 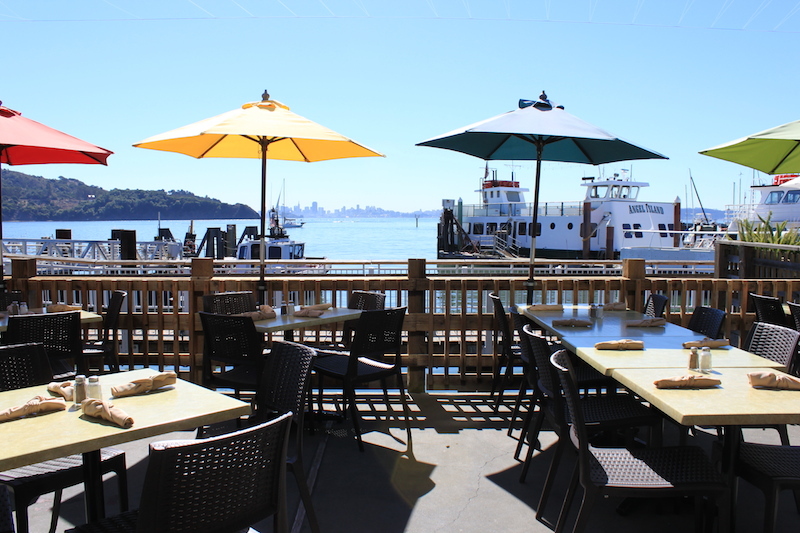 Here are some top picks for the best bay view restaurants in San Francisco. 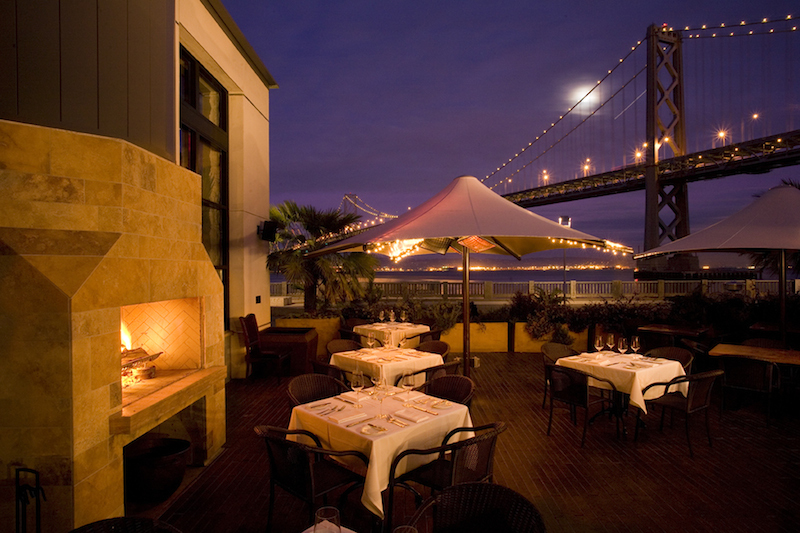 This glamorous seafood restaurant right under the Bay Bridge is an ideal place, day or night, to enjoy the vistas. Known for stunning floor-to-ceiling tropical aquariums and a firm commitment to sustainability and transparency, the restaurant offers a menu that even calls out the captains and fishing boats. It’s a prime spot for oysters with as many as 16 different types on any given day, and a daily pick is available for just $1.05 each from 11:30-5:30PM, with a nickel going to charity. It’s also a terrific place to indulge in a whole Dungeness crab or crab cocktail. Make a reservation at Waterbar. This Peruvian restaurant from acclaimed chef Gaston Acurio has a sunny deck and enticing specialties including empanadas, cebiches, and causas. It’s also a great place to try a Pisco cocktail. Or two. Arriving via the bay? 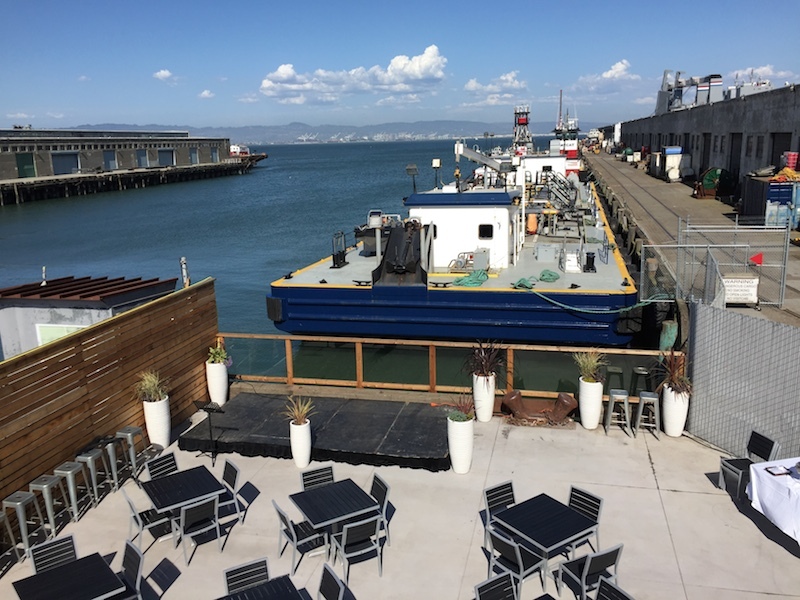 La Mar is San Francisco’s only waterfront restaurant that offers complimentary boat parking for three hours. Make a reservation at La Mar Cebicheria Peruana. With a newly added outside bar, the patio at Epic is more appealing than ever. This restaurant is as adept with steak as it is with delicate pasta and luscious fresh vegetables, such as a recent special of jumbo asparagus with a poached egg, Banyuls vinaigrette, and Cotija cheese. The best deal just might be the BBB, a bacon cheddar wagyu burger served with fries, a Budweiser, and a brownie for just $20. Add a 4th B — a shot of Michter’s bourbon — for another $5. Watch stormy days from inside or sit under the sunshine yellow umbrellas for lunch or drinks after work. Make a reservation at EPIC Steak. The latest addition to the San Francisco waterfront dining scene is ATwater Tavern. Located just past the baseball stadium, it’s the perfect place to celebrate a win, drown your sorrows should the Giants lose, or just wait until the traffic dies town before heading home after a game. The solid grill-focused menu offers plenty of seafood and a wide range of beer and wine on tap. Drink or dine from inside or out, upstairs or down, and see the workings of the port of San Francisco. Make a reservation at ATwater Tavern. 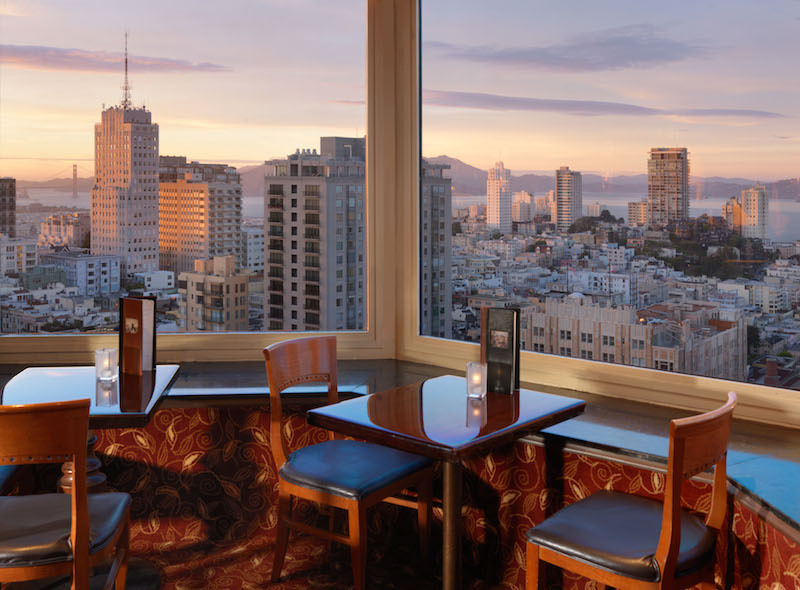 From Nob Hill at the top of the Intercontinental Mark Hopkins Hotel, you’ll enjoy great views of the City, the Golden Gate Bridge, and the Marin Headlands, as well as Alcatraz Island and Fisherman’s Wharf. During World War II, servicemen would meet and toast the Golden Gate Bridge before shipping out in hopes that this good luck ritual would bring them safely home. Their wives and sweethearts would head to the northwest corner of the lounge to watch them depart, earning this famous spot the nickname “Weepers’ Corner.” The lounge is known for a creative martini menu and offers small bites in the evenings and an extensive brunch buffet on Sundays. Make a reservation at Top of the Mark. 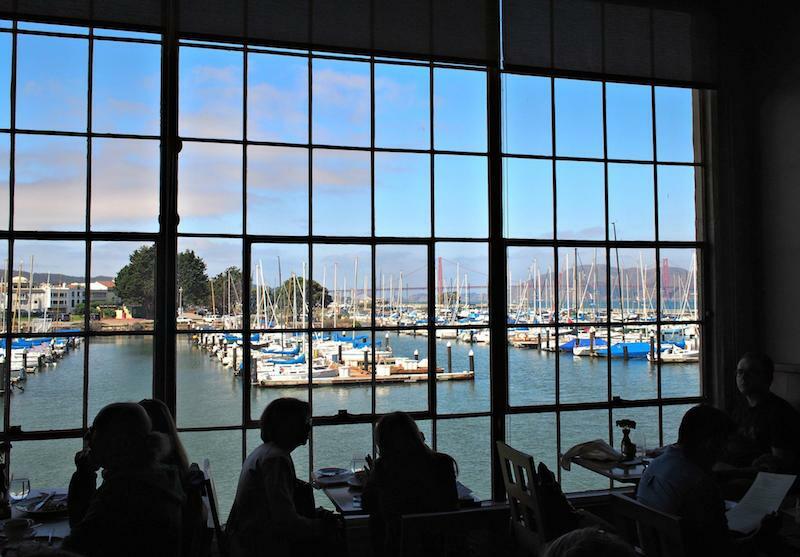 Originally opened as part of the San Francisco Zen Center, for 35 years this restaurant located at Fort Mason has offered stunning marina and bay spectacles all the way out to the Golden Gate Bridge. The food here is vegetarian and draws from various cuisines around the world. Much of the produce is sourced from nearby Green Gulch Farm, a residential Zen community and organic farm located just an hour away. The carefully curated wine list focuses on small producers. Make a reservation at Greens. 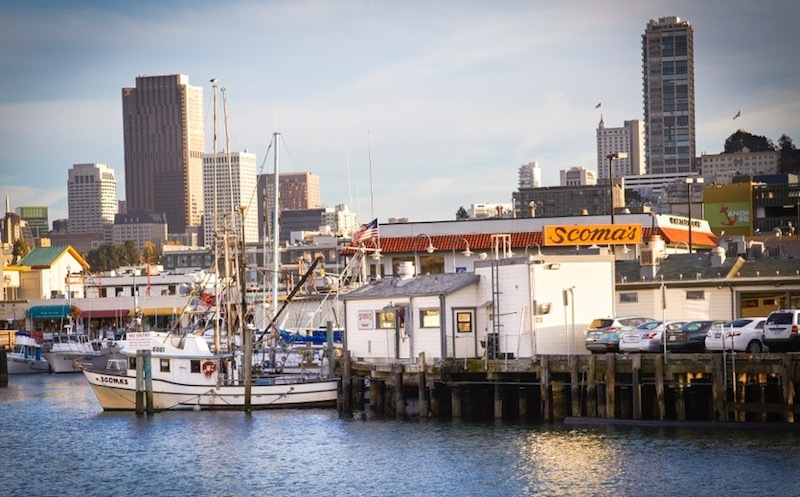 A top pick for dining at Fisherman’s Wharf, Scoma’s is situated on Pier 47 with plenty of retro charm. The menu at this historic venue was recently refreshed by local chef Gordon Drysdale; he kept the classics but added lighter, fresher, and more seasonal options. The food here now shines as much as the views do, and if you’re lucky you may see boats drop off their catch at the fish receiving station on the pier. Make a reservation at Scoma’s. 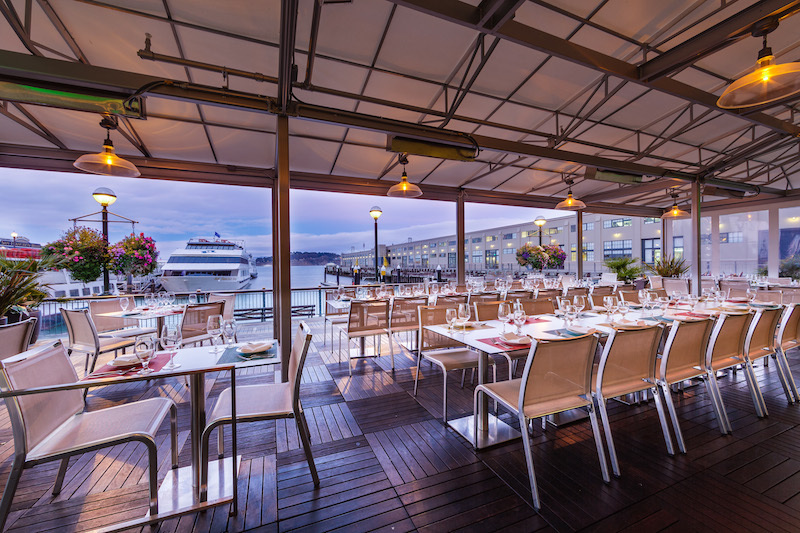 The food at Guaymas may be inspired by the Sea of Cortez, but it’s pure San Francisco Bay scenes that you will enjoy from the restaurant inside or on the expansive deck. Set in Tiburon, it’s just a short ferry ride from San Francisco — a perfect spot for viewing Angel Island and Alcatraz as well as the San Francisco skyline. Sip on margaritas, and dine on fresh housemade tortillas, tamales, and ceviche. Make a reservation at Guayamas. Another classic in the Bay Area, Trader Vic’s is known worldwide for tropical drinks and happy vibes. It also offers a view of the bay from just east of San Francisco in Emeryville. Catch the sunset at happy hour, which runs Tuesday from 4PM until close or Wednesday through Friday from 4-6PM. The restaurant offers events for many holidays including Mother’s Day and Cinco de Mayo and also hosts cocktail workshops. Make a reservation at Trader Vic’s. Located at Cavallo Point in Sausalito, this almost-hidden resort offers accommodations, a spa, a cooking school, a bar, and a high-end restaurant. While the dining room has restored tin ceilings, elegant photography and cozy fireplaces, the historic wrap around porch offers glorious views of the Golden Gate Bridge and bay. Enjoy the sunshine and indulge in their four-course, prix-fixe weekday lunch menu or “lazy weekend brunch” served until 2:30PM. The restaurant is particularly accommodating of those with dietary restrictions. Make a reservation at Murray Circle. Locals, tell us your picks for the best bay views restaurants in San Francisco here or over on Facebook, G+, Instagram, Pinterest, or Twitter. Photo credits: Kodiak Greenwoood (Murray Circle). I want to plan a trip to San Francisco for my friends birthday this year, and I love all these restaurant suggestions! EPIC Steak sound like a perfect place to celebrate, especially with the outside bar. I’m getting hungry looking at all these suggestions. We might need to extend the trip to fit everything in. Thanks! Some great places listed here-I few I did not know even though I live in SF. Greens is my fav! Some of the very best views are in Sausalito. 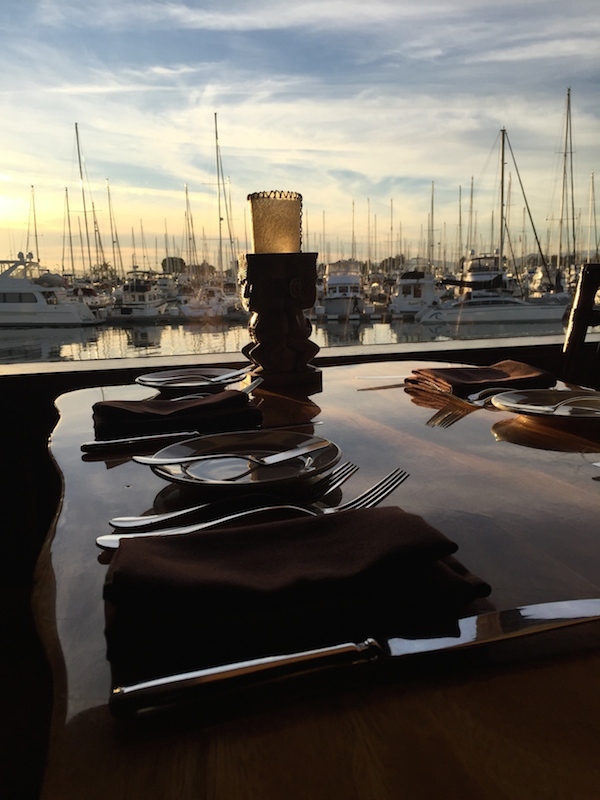 Try Spinnaker, Horizon’s, Angelino or the Sausalito Yacht Club (sorry…members and reciprocals only at SYC). Greens @ Fort Mason is my favorite place in SF.